Wedding speeches are one of two things: entertaining, or awkward. And you probably don’t need us to tell you that you should be aiming to be the former! 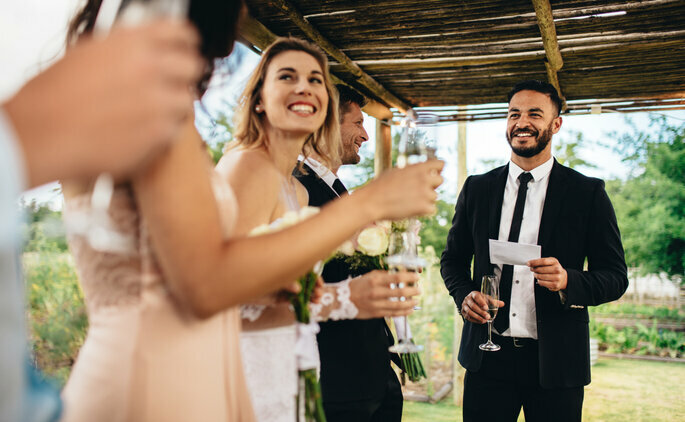 It can feel like a big responsibility, and these speeches are often waited upon with much anticipation by the bride and groom and their guests respectively – for these reasons, we’ve put together some advice on how to make sure that your speech goes beyond expectations, and is truly memorable (for all the right reasons!). 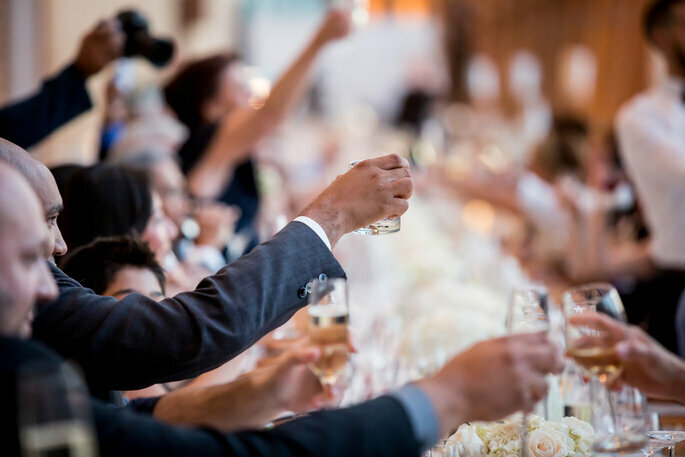 Whether you’re a Best Man, a Maid of Honor, or – in the most prestigious speech-giving role – the Father of the Bride, you’ll find some great tips on how to give a fantastic wedding speech here. As with writing wedding vows, it is absolutely vital that you assess who your audience is, where you are speaking, and just how much leeway you have with bringing up embarrassing stories about the groom. Tone is everything when it comes to giving a memorable wedding speech – and you want the bride, groom and guests to look back on your speech as a highlight instead of something they’d rather forget! The most important thing to remember whilst giving your speech is that you need to hold the attention of everyone in the room. In this case, it’s always a good idea to begin with a joke, and to make sure that you deliver your address in an engaging manner. We recommend that you try to learn the basis of your speech before the wedding, so you’re not continually looking at a script. The idea of writing and giving a speech in front of what will probably be a large room of people can be very daunting. Often, it is difficult to even know where to begin – particularly when you know that you need to pack a punch straight away. In this case, we recommend that you hit the internet – and your favourite films – for some inspiration. Youtube is a veritable goldmine for brilliant speeches, from Tom Fletcher’s musical wedding toast, to this fantastic chap directing his towards his new son-in-law. There are hundreds of hours of inspiration out there, so pull out your favourite films and have a look – and remember, nine times out of ten, pop culture references go down very well! 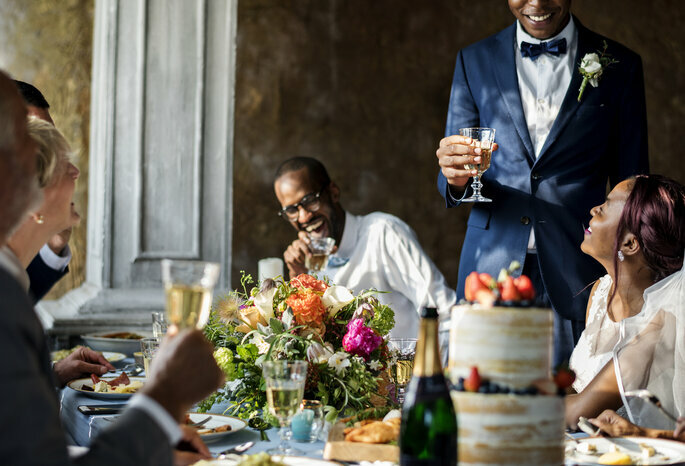 Inside jokes, “you had to be there” moments, and throwbacks to secondary school and university antics can really help to make a speech more personal for the bride or groom, and add an element of real entertainment to a speech. However, it’s important to remember that as much as your speech is meant for the couple, many people beyond them are going to hear it. As a result, keep a cap on the number of references that you include that most guests will be bewildered by. Not doing this will lead to people visibly losing interest, and feeling excluded from the dynamic. 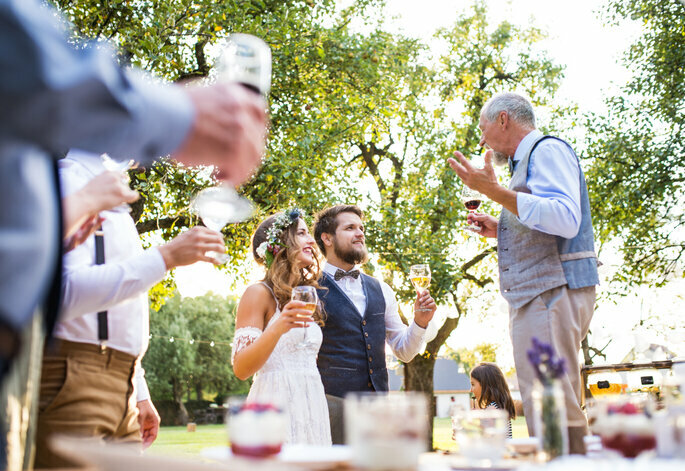 Of course, this is a little different for Father of the Bride speeches, which are often based on childhood memories, and talking about the special bond between a father and a daughter – which guests will empathise with. However, for Best Men and Maids of Honor out there, be careful that you don’t write a speech that alienates everyone else. We briefly discussed this in point one, but deciding on whether you want to give an emotional, or a more lively speech is very important. There are benefits to both: emotional speeches can be real tearjerkers, and are very special moments for the intended recipient (whether it be the bride or groom), whilst humorous speeches often have the rest of the room in a ruckus, and are great to play back in the future with the help of a wedding videographer. However, you must also take care to avoid being too far one way or the other – seeing a bride sobbing on her wedding day is never good, regardless of why, and trying to be too funny often means losing the meaning and significance of the speech in the first place. Creating a balance between these two styles is ideal, and what you should be aiming for. After taking the time to write your speech, the next stage is actually getting up and saying it. For people who are not used to public speaking, or simply do not like it, the important thing is to stay calm. Keep cue cards on your person if you need a prompt, and most importantly, speak from the heart. With emotional speeches, it is important to try and not get too caught up in the moment, so you’re able to get through your speech; of course you want people to be moved by your words, so just make sure you can keep it together! 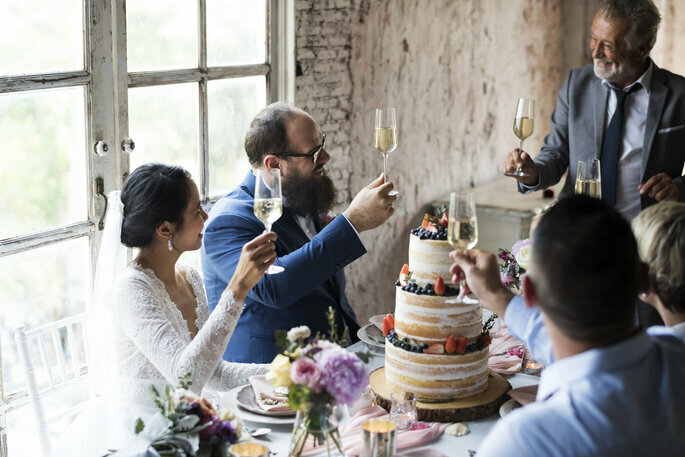 The wedding speech can be one of the best parts of a wedding if done right, so make sure you stick to our advice when you’re drafting and delivering your own!